Have a big family? love cooking? Or simply searching for a new toaster oven? You can see many expensive toaster ovens in the market with many more budget models. If you don’t know how to choose the perfect oven for a reasonable price or you don’t believe there can be high quality ovens at a bargain, then you should read our review. In our survey we’ve found that money doesn’t always mean quality and we will demonstrate how you can have the best toaster oven without forking out a lot of cash. We will acquaint you with our review of the top 9 best toaster ovens. We will look at essential characteristics which a good oven must possess to serve well in your kitchen. After reviewing the features, we will select the best model of toaster oven and clarify our decision to potential purchasers. You will be able to buy a worthy product for you and your family. What is a toaster oven and what is it used for? Toaster ovens are small electric ovens with a front door, wire rack, and a removable baking pan. 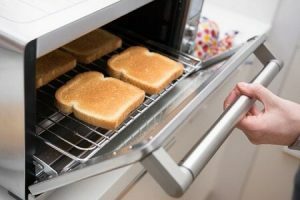 To toast bread with a toaster oven, slices of bread are placed horizontally on the rack. Even if you have a large kitchen, a toaster oven is useful for heavy-cooking holidays, when you need to cook and warm several dishes at different temperatures at the same time. 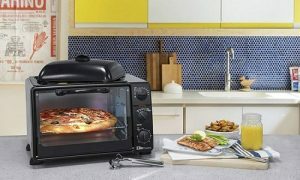 Are you looking for a toaster oven that can make beef jerky or steam vegetables? Do you need a countertop appliance for making pizza? You can use a toaster oven for almost anything, from reheating a slice of pizza, to broiling a chicken. What is the difference between a toaster oven and a conventional oven? A toaster oven is much smaller than a conventional oven. Conventional toaster ovens are somewhere in between a toaster and convection ovens. Toaster ovens are useful for toasting food that is too big for a toaster, such as croissants, muffins and thick bagels. A toaster oven is also more energy-efficient than a conventional oven for tasks such as warming up small pastry dishes or pizza slices. However, toaster ovens take up a lot of kitchen counter space, while conventional ovens are usually built into the kitchen counter. Also conventional ovens cook food faster and more efficiently than a toaster oven. But it’s still up to you which oven type to choose for your kitchen. What to look for in a good toaster oven? It isn’t easy to find the best toaster oven when you have so many options to choose from. 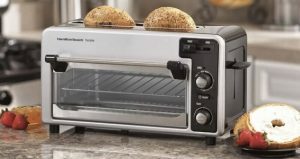 Price, versatility, ease of use, and brands are some variables to consider when buying a toaster oven. It can get a bit overwhelming, but that’s what we are here for. 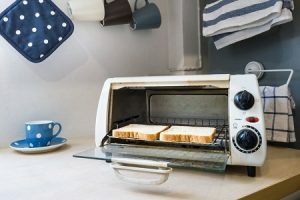 Toaster ovens are simple and fun to use so you might expect expensive prices, but with so many options, you can find a great one for under $100. We’ve looked at 3 main features when choosing a product: price, versatility, and ease of use. We are going to review 9 toaster ovens under $100. 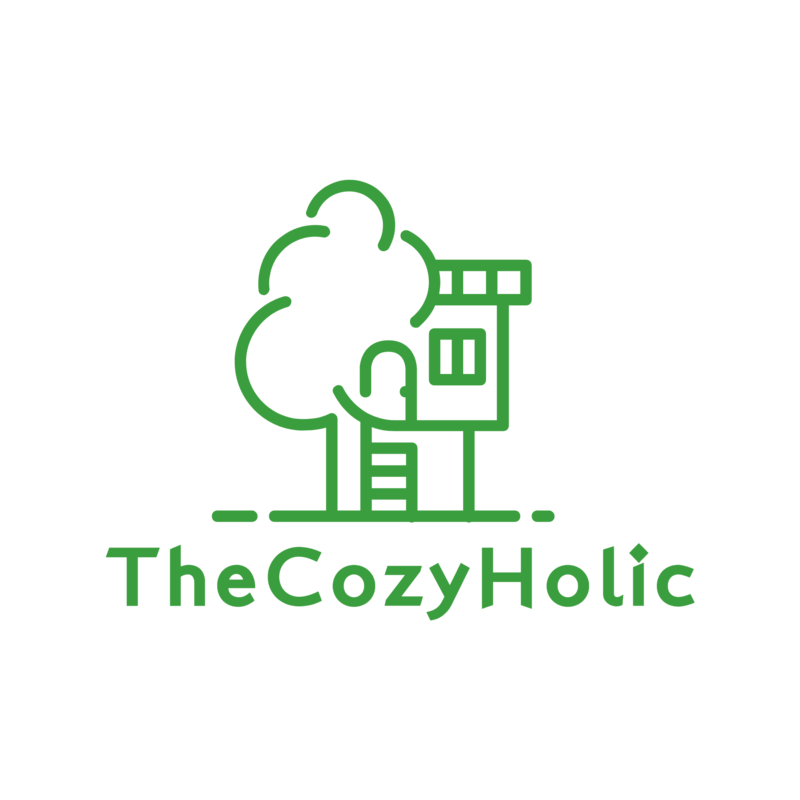 They are cheap but are multifunctional and high quality, so you won’t need to worry that you are blowing your money. The best toaster oven must be multifunctional and universal. We will look for ones with a variety of cooking functions for all kinds of food. This issue is essential while choosing and managing the toaster oven should be available for both adults and children. Here’s a list of the best toaster ovens under $100 that will satisfy your demands. Keep in mind that we at Home’N’Roll are not affiliated with any of the manufacturers and our reviews are an unbiased result of our testing. Functions: toast, bagels, bake and broil. Full size interior holds an 11 inch pizza and 6 slices of toast. Control: solely monitors the temperature and adjusts timing to consistently toast to the selected shade every time. Convenient auto side-out rack for hands free loading and easy removal of cooked foods and automatic shut-off safety feature. This oven is simple in use and easy to clean. It is suitable for large quantities of food as well. Its benefit is quick heating. Size: Spacious (4 slice capacity). For best possible view while in operation oven has stainless steel front panel with tinted glass oven door. Cooking options: Bake, broil, toast, and keep warm functions. Compact size: 2-in-1 combination oven and toaster saves counter space. Toast shade selector option. Has slide-out crumb tray and 2 rack positions. Bake pan is included. This oven has distinguishing advantages. Bake, broil, or toast – this 2-in-1 appliance gives you the flexibility to cook a variety of food. Set the temperature and timer to your exact specifications using the easy-to-turn knobs. The auto shutoff gives you peace of mind that your food won’t overcook once time is up. Four cooking functions : convection bake, broil, toast, and keep warm. Large interior: can fit a 9” pizza, six slices of bread, or a variety of other snacks and meals. Dual Timer: the 30-minute timer includes a stay-on function for longer cooking tasks, and the dedicated toast timer finds the right shade. Versatility: two rack positions make it more convenient for cooking under the broiler or to fit larger items. 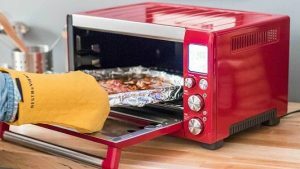 This is a great convection toaster oven that circulates hot air to cook all your favorite frozen snacks and pizzas in no time. Plus, the interior of the oven is designed to focus heat towards food for fast and even cooking. Its distinguishing feature is its dual timer and versatility to cook a variety of food. Material: Stainless steel construction. Non-stick for easy cleaning. Four cooking functions – Bake, Broil, Toast, and Keep Warm. The controls are digital for functions that include temperature, broiling, baking, toasting, pizza, frozen foods, potatoes, and cookies. The Black and Decker Countertop Toaster oven has convection heating for quick and thorough baking. It has several cooking functions and is very simple to use. It is also made of stainless steel and easy to clean. Convection option: high speed of cooking is assured with convection function for faster, more even cooking. Cooking functions: broils at any temperature for proper browning and melting. Also supports baking, defrosting, and warming. You can also select the exact toast shade you desire from light to dark. Managing panel: Digital controls with interior light for easy viewing. This large capacity countertop oven from Oster features convection baking to circulate hot air throughout the oven for flakier crust, crisper edges, and even-browning in less time. You can even cook worry-free with the 90-minute countdown timer that automatically shuts off the oven once complete. “FlashXPress” double Infrared Light cooks much faster than conventional toaster ovens. Easy-to-use control panel with 6 illustrated menu presets for toasting bread, pizza, frozen foods, and quick reheat. Exterior Space: Perfectly compact design with a small countertop footprint, front removable tray, and nonstick interior for easy cleaning. Temperature setting: 250° – 500°F. Digital timer: up to 25 mins. Interior Space: A perfect fit for pizza up to 9 inches in diameter. Sense IQ Technology : 4 Independent stainless steel heating elements adjust for different cooking functions to transfers precise heat at the right time for delicious results. All-round Convection system can be turned on at any time. This function allows faster cooking times as well as more consistent heating. With a broad interior capacity, this intelligent oven toasts 4 slices of bread, makes an 11” pizza or roasts a 5 pound turkey for a small family. Its countertop size doesn’t take much kitchen space. Easy cleaning: Back-lit easy-read LCD display; cool touch stainless steel handle; non-stick interior allows for easy cleaning of your oven’s cooking area. Also provides a 2 year limited warranty. The Sense IQ function is its benefit. This model is a 2 in 1 stainless steel toaster oven. It is convenient to use, has 8 functions, doesn’t take much space, and is easy to clean. Multi-function toaster oven: Equipped with 4 heating elements at the top and bottom. Cooking functions: bakes bread, broils steak, toasts bagels. Toasting uses a lower temperature. Large cooking space for all types of meat. You can fit a 10″ pizza or 6 slices of bread in it easily. Perfect size for your family. Adjustable temperature controls Adjusts between 150° and 450°F. Has a maximum temperature of 450° F. Great at warming something up quickly. Easy to clean & use: The removable tray and interior coating is non-stick for easy cleaning. 3 knob controls with easy-turn design. This unit supports 4 different rack positions that allow you to move your dishes closer or further away from the heating elements. Automatic shut-off. 60 minute timer with an audible ready bell. It includes a durable baking pan, an oven rack, and a drag hook. Comes with a 2 year warranty. The oven is very convenient to use and has a number of advantages, highly assessed by customers. It is automatic (including shut-off), made of stainless steel, and very powerful. What is the best toaster oven for the money? 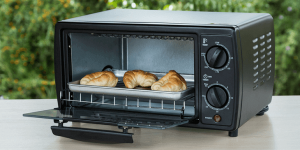 After analyzing the market regarding the 3 criteria: price, versatility, and simplicity in use of the top 9 toaster ovens under $100, we’ve decided that the winner of our review 2019 is the Convection Toaster Oven. After comparing the features and technical characteristics of this toaster oven, it becomes obvious this oven has a great number of benefits and its operation is aimed at satisfying customer demands. There are 8 cooking functions, a large interior for an assorted quantity of food, a timer with an automatic shutoff, etc. The most essential feature, however, is its sense IQ technology that transfers precision heat at the right time for delicious results. Therefore, it is the best option for such a reasonable and available price.